If you think you don’t need a safe boater refresher because you “already know it all,” consider the experience of Bay-boater and Silverton owner Mitchell Hill and his family when they took a boater safety course. Mitchell (who grew up boating) and his wife (then new to boating) took a safe boater class after purchasing their first boat in the early 1980s. Fast forward 25 years; after a significant hiatus from boating, the couple returned to boat ownership, with children ages 13, 14, and 18. As part of their new boat’s purchase package, all five were invited to attend a U.S. Coast Guard Auxiliary safe boater class. “I cannot say enough for the benefit of attending in-person a safe boater class,” says Hill. “While you can do them online, you miss so much from the interactive discussions. The course we took with our children was worth every minute of our time. My wife and I were able to ‘knock the dust off’ pertaining to rules of the road, safety equipment, emergency procedures, and more. And our kids were able to hear it for the first time from the ‘experts,’ not Mom and Dad. “When we added a Waverunner to our fleet, it was a true comfort to know that our kids had the safe boater training and were fully aware of both the requirements and the privilege that had been afforded to them. Once, while out on the Sassafras River, they were stopped by the Maryland Department of Natural Resources police for a random safety inspection. Needless to say, operating the craft in a safe manner, having all of the required safety equipment on them, and having their U.S. Coast Guard Auxiliary certifications readily available with them was all the proof the officers needed to see. 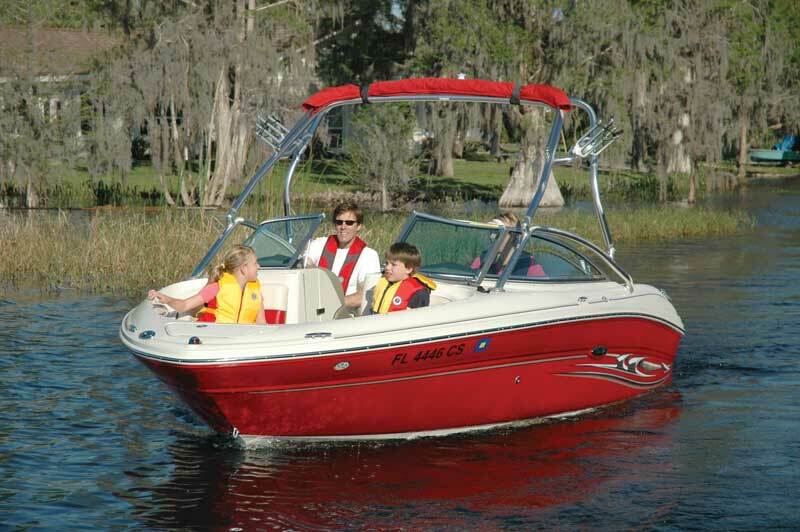 Find boater safety courses all around the Bay in our Chesapeake Calendar.